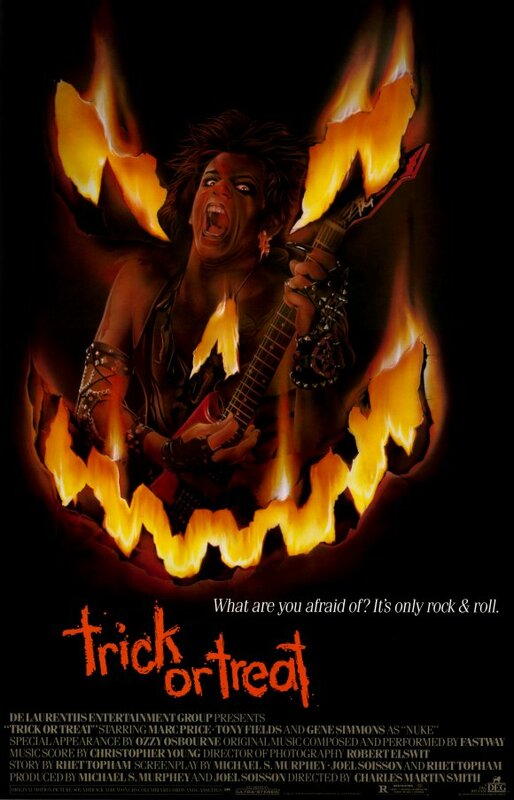 In keeping with the popular social media trend of “Throwback Thursday” (#TBT), we will from time to time take a moment to focus on the classic trailers, posters, and promotional items from some of our favorite Halloween-themed movies, TV shows, and more, continuing today with a flashback viewing of the original theatrical trailer for the heavy metal Halloween classic Trick or Treat (1986). Too often overlooked, I absolutely adore Trick or Treat in all it’s glorious cheesiness. 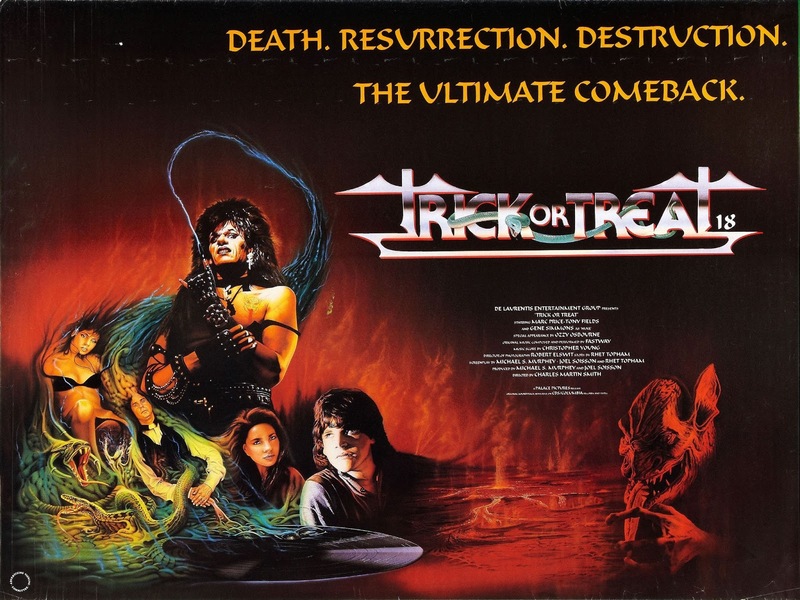 It’s got a great ’80s hair metal soundtrack (by the band Fastway), a strong performance from Marc Price (Skippy from Family Ties), hilarious cameos by rock legends Ozzy Osbourne and Gene Simmons of Kiss, and it all culminates with a killer rock concert at the local high school on Halloween night. If you haven’t seen it yet, I highly recommend you crank up this under-the-radar cult classic, and if you have seen it, it’s probably about time to give Sammi Curr a spin again. What do you think of the film? Watch the original teaser trailer for Trick or Treat in the player below, and then give us your thoughts in the comments!